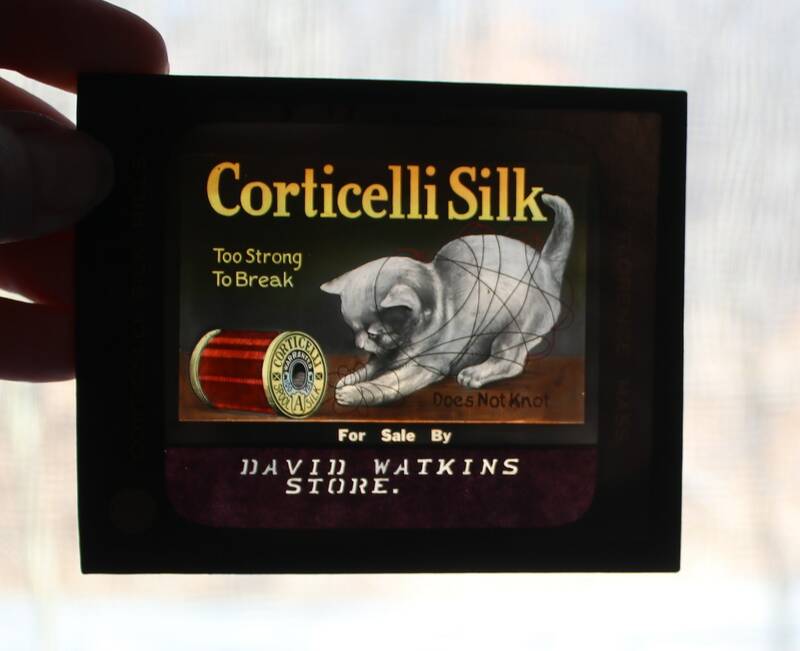 These two slides feature advertisements for Corticelli Silk thread and David Watkins' store where the thread was sold. 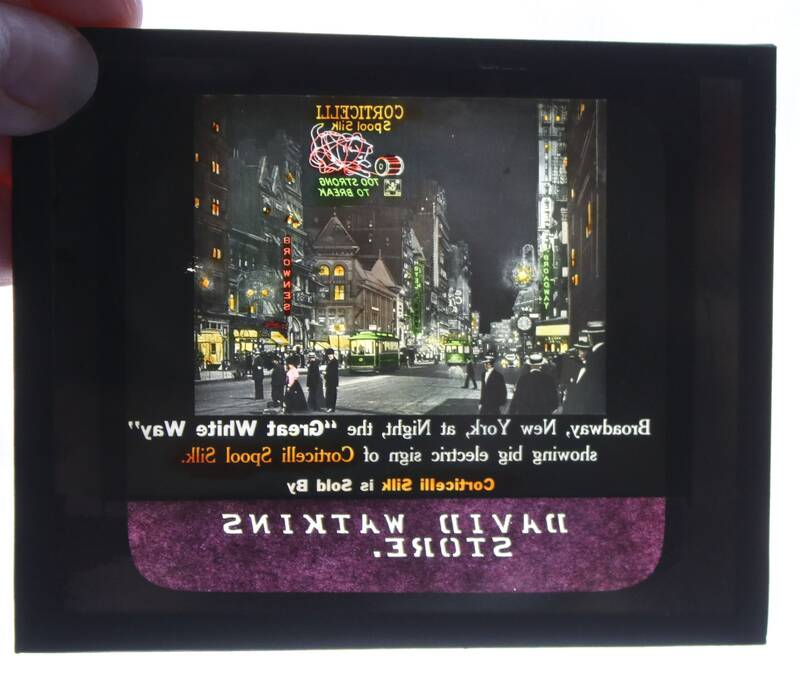 One slide is an ad with the popular Corticelli Kitten and the other is of Broadway at night with the Corticelli advertisement lit up atop a building. 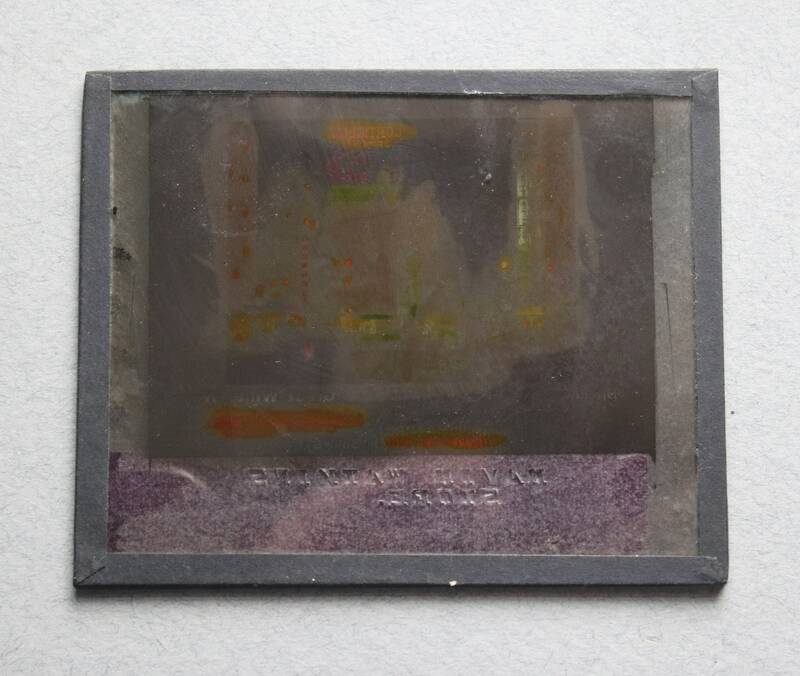 Both slides are circa 1910-1913 and measure 4" x 3.25". 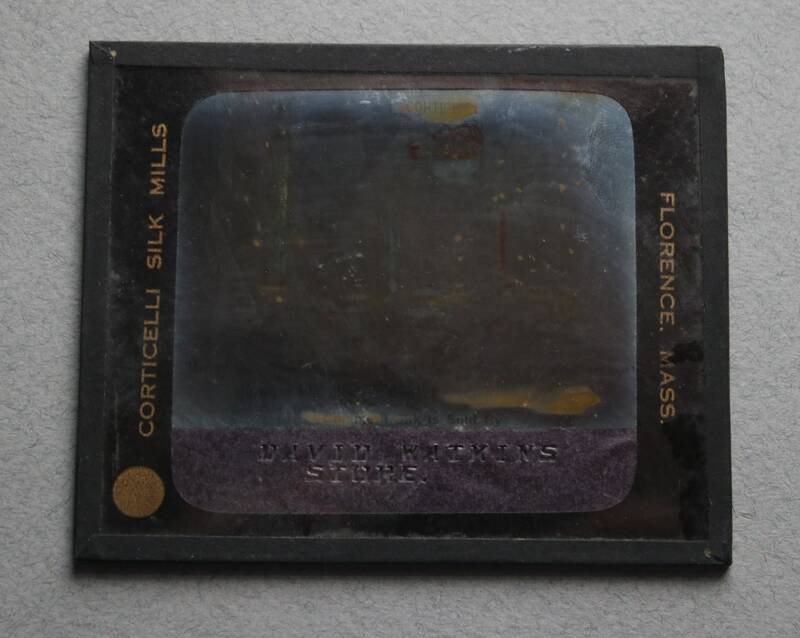 Thank you to https://www.smith.edu/hsc/silk/clickmap/corticelli.html and https://www.needlenthread.com/2015/01/corticelli-silk-thread-color-card-with-real-thread-samples.html for the interesting information about Corticelli Silk. 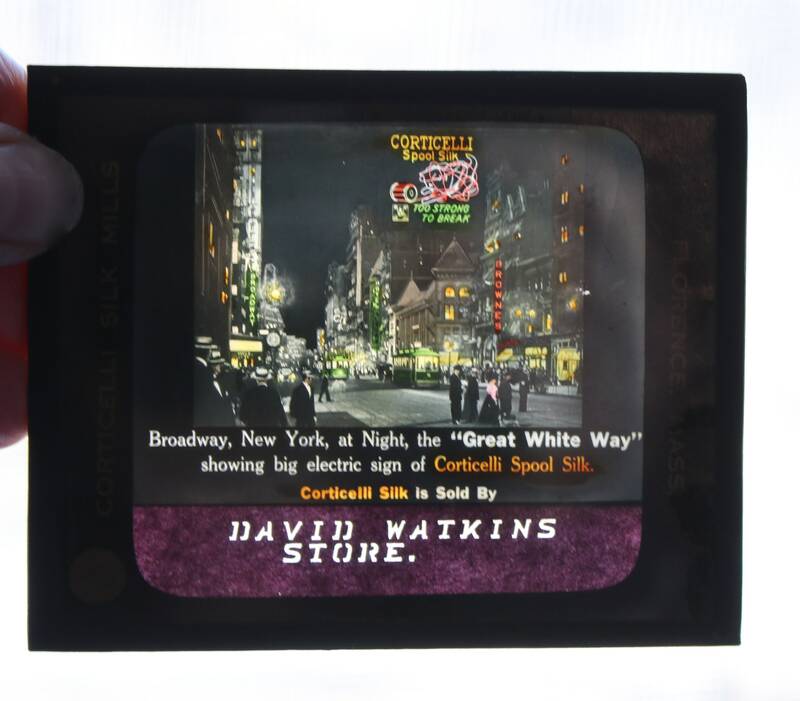 The Corticelli sign at 42nd and Broadway (NYC) was one of the earliest ads on Broadway and was displayed between 1910-1913, and the Corticelli Kitten was well known during that time period. 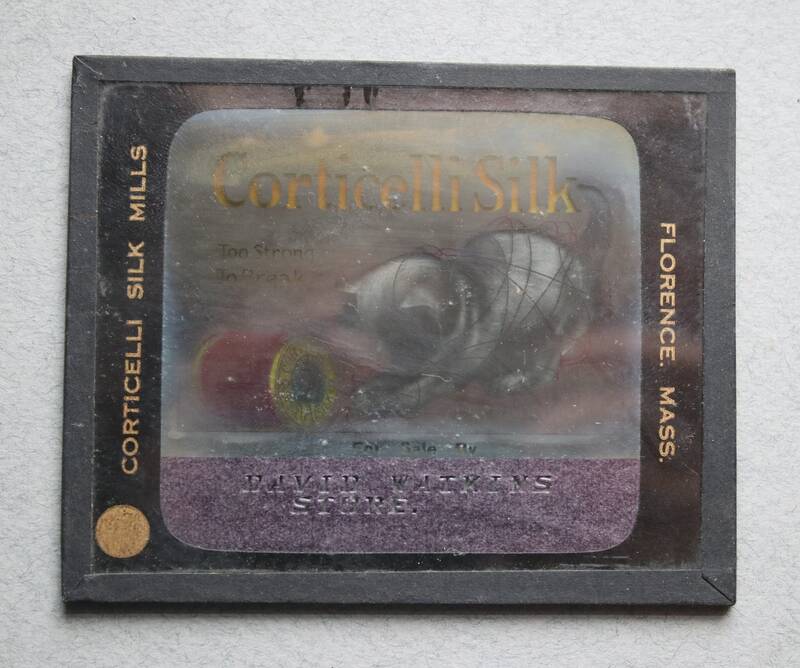 These two slides are in very good, if not excellent, condition. There are no chips, cracks or breaks. 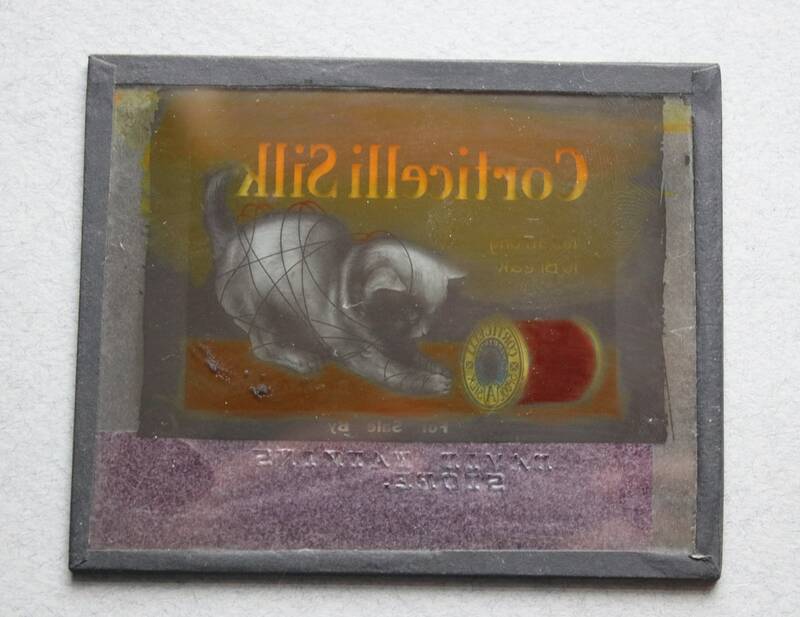 I've not cleaned the slides but will leave this up to the discretion of the new owner. 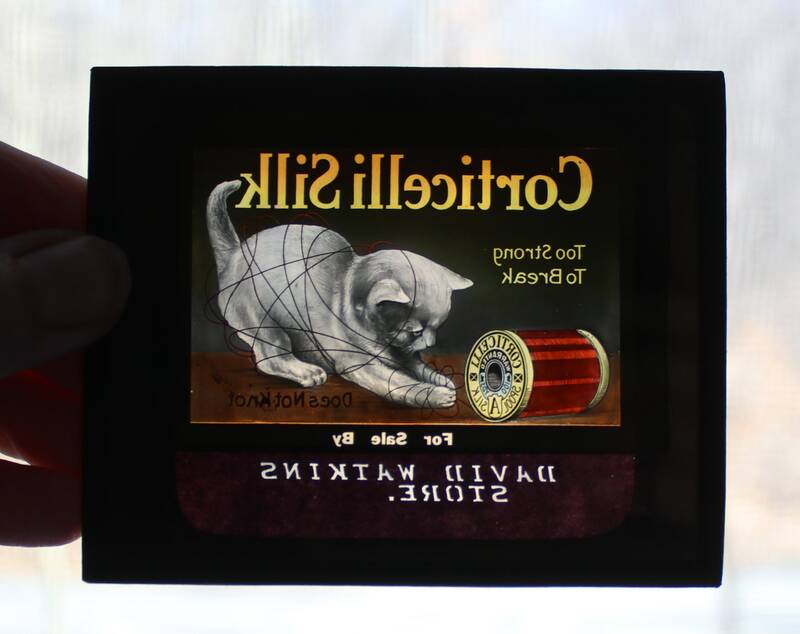 Both slides are included in the sale. Your slides will be sent via Priority Mail.